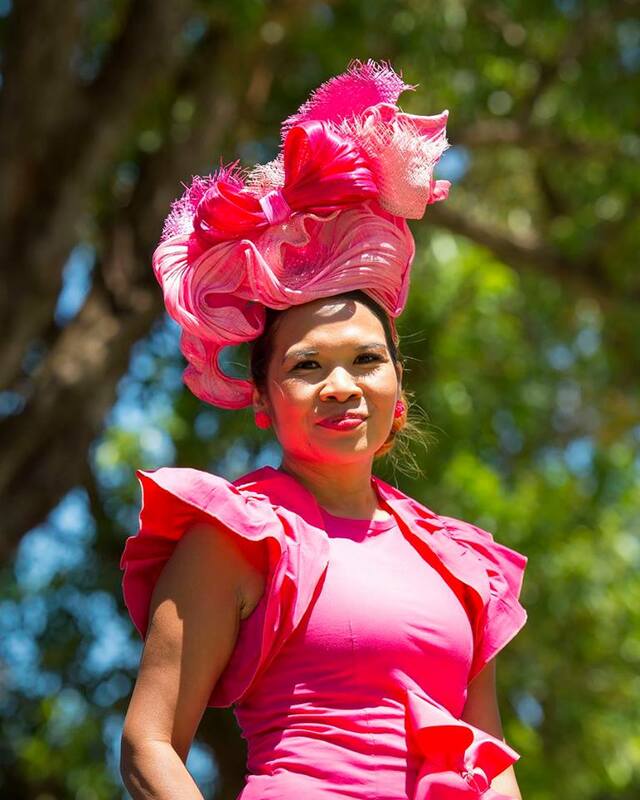 Fashions on the Field - Lets make a weekend of it!!! What an amazing day and night we had at Pinjarra Races in Western Australia's Peel region. I was so excited for my first Fashions on the Field event for 2018. I was lucky enough to get a leave pass from the Husband, so my best friend and I could make a weekend of it. After much research we decided to stay at the Lakeside Apartments in South Yunderup in the stunning Peel region. I love that WA Racing bring so much money into country WA as well as the racing industry. After rising nice and early to have my hair and makeup done by the amazing and talented Pearlin Bracewell my bestie and I hit the road from central Perth at 9am and were in South Yunderup (15 mins from Pinjarra Race course) by 10.45. Leaving us just enough time for a glass of pink bubbles while we chose our outfits and got settled into our gorgeous apartment. Ok so there was a major wardrobe malfunction - matching whites is hard, thankfully being a FOTF junkie worked in my favour on this occassion as I'd bought two outfits down and combined them to end up in my white, light pink and plum pink outfit. With our taxi waiting for us we headed straight to the track arriving right on 12 noon, ready to party and catch up with the FOTF community. Luka and I arriving at Pinjara races. I'm wearing Holly Barker Millinery (amazing), BDA accessories, Witchery dress and boohoo heels. Wow this was my first time to the Pinjarra track, I'd heard it was beautiful but I was not prepared for the shaded, soft grassed, well services bar and great FOTF set up that greeted us. I had died and gone to WACC FOTF heaven!!!! Tents for extra shade, so much seating and all under gorgeous big gum trees!!! First stop was to register for FOTF and then find our tent. FOTF Registration desk. Stunning Morag registers in her amazing outfit! The stunning Aimee Homes in pops of purple, Kirri in pretty patterned pastels and the gorgeous Karrissa Lee in lilac and white - bella bella! My FFF Meisha Warren decked out in Only One Ashley looking everybit the FOTF diva that she is!!!!! Then I ran into my Insty crush Leah and her fam bam and friends and OMG I died and went to red headed, brown eyed heaven with this babe!!! Morag and Kate Reynolds looked beyond phenomenal - I mean how much fabulousness can you get in one pic! So wow along with saying hello to everyone I knew the competition would be fierce and it did not disappoint. Honestly how the judges chose a winner I have no idea. Everyone had brought their A game and then some. Jacqui looking polished perfection in turquoise and peach! I mean you three killed it! Always one to show her unique style Emily looked fab in fuscia. It was an absolutely wonderful day. After these photos were taken we danced the rest of the afternoon and evening away with the live band. The girls and I then headed into Mandurah and danced the night away. It was the best day (and night) I've had for a long time. If you haven't been down to the Peel region in awhile, there is so much to see and do there, I'm already planning my next trip and so should you.